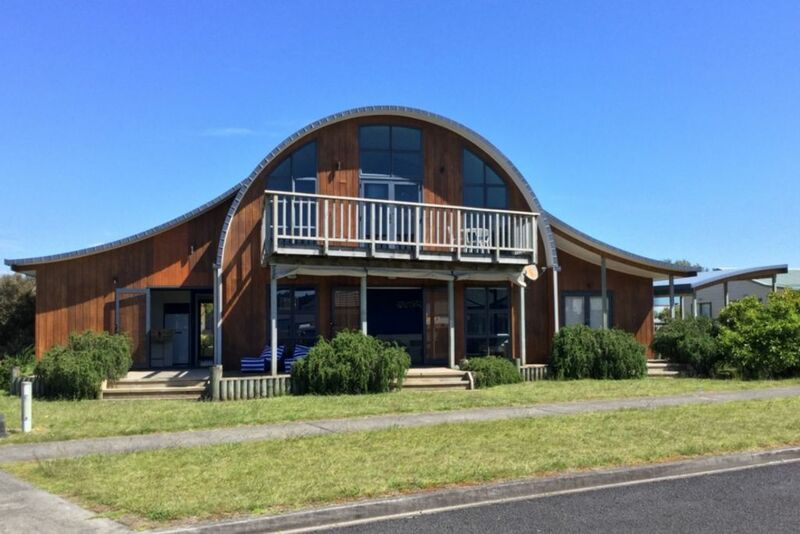 SurfBreak Whitianga is a large, fully equipped holiday home just a short stroll from Buffalo Beach in a quiet cul-de-sac, safe for kids to run around. Laze the days away in the sunny open-plan living, dining and kitchen spilling onto the large, partly-covered decks with bean bags and a BBQ. The sleeping quarters comprise of 3 bedrooms, 2 bathrooms plus a separate toilet, making it more than comfortable for a large family or three couples to stay and enjoy their Coromandel break. There is also a second living area upstairs with access to an upper deck, perfect for relaxing, reading a book or playing games. There is a fully equipped kitchen with a dishwasher, a microwave & Nespresso coffee machine, separate laundry, free WIFI, TV with Freeview, DVD player and a large collection of movies. The garage is full of goodies - a pool table, a dart board, bikes, boogie boards and a single kayak all for you to use during your stay. Great location, close to the beach in a quiet cul de sac. The property was clean, tidy and more than adequate for our girls weekend. Incredibly quiet and relaxing. Great beds and wonderful showers! Thank you for having us! Walking distance to town and the Lost Springs. Highly recommend this property! Amazing and fun and relaxing. It was very clean, tidy and spacious. So easy and comfortable to be in. An enjoyable walk into town and to the beach. It was incredibly quiet on the street which was excellent for sleeping in at the end of an exciting day. Everything was there. Only thing we couldn’t master was getting the bike pump to work so we could go for a bike ride. Everything else was perfect. We would definitely come and stay again. Close to beach, hot pools and town great spot! Close to beach, hot pools and town great spot!! We had an amazing stay away, the house was very spacious & situated on a quiet street close to the beach.